A strong G3-class geomagnetic storm sparked auroras over both poles of Earth this past weekend. Hunter Davis, at the South Pole, captured images. 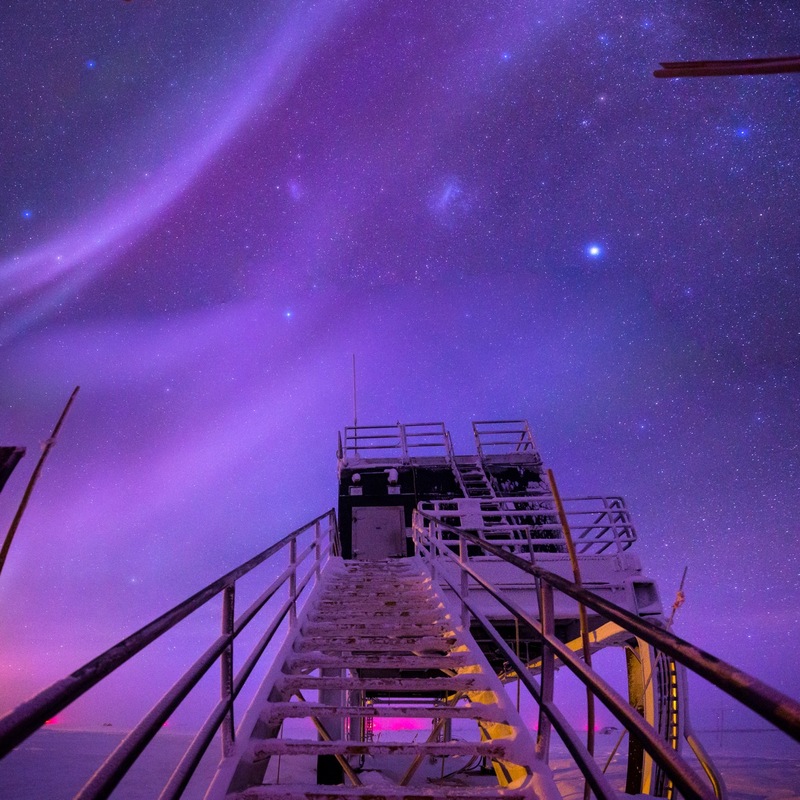 A communication relay building at the South Pole, with purple and blue auroras overhead. Photo taken May 28, 2017 by Hunter Davis. On Saturday, May 27, 2017, a coronal mass ejection or CME arrived at Earth from the sun, sparking a strong G3-class geomagnetic storm that peaked on May 28. According to spaceweather.com, auroras were sighted in more than 20 U.S. states (and no doubt at similar latitudes in the Northern Hemisphere). But they also occurred over the less populous South Hemisphere, and over Earth’s South Pole, where Hunter Davis – who is working there – caught the images on this page. Thank you, Hunter! Blue auroras over a relay station and communication equipment at the South Pole. And top right is an iridium flare. Photo taken May 28, 2017 by Hunter Davis. 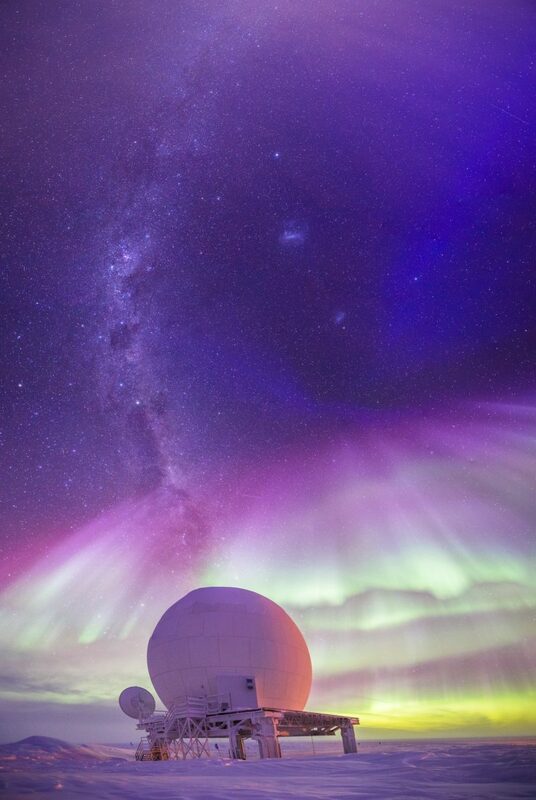 Satellite dome at the South Pole, with auroras. Photo taken May 28, 2017 by Hunter Davis.